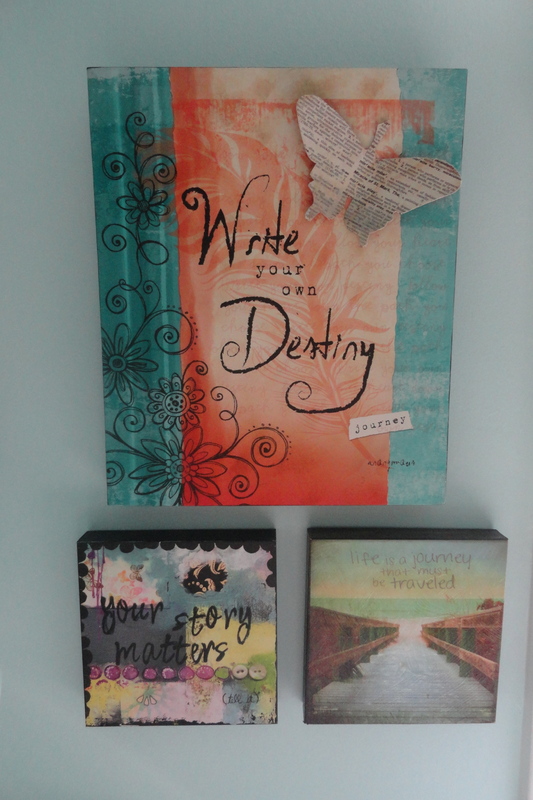 I love the “Write Your Own Destiny” one! It’s beautiful!!!! 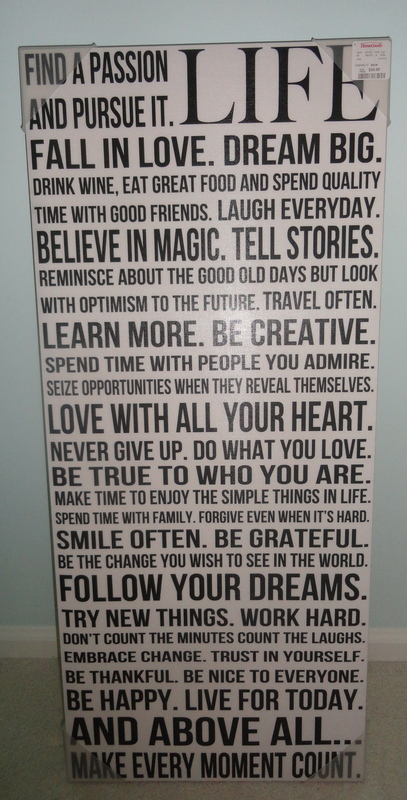 <3 I'd love to start collecting canvas art like that, ones with inspirational words on them especially. I see them all over Pinterest! I LOVE those pictures and quotes and may need to steal your idea. My room needs some definite reorganizing! Steal away! They really do add such inspiration and happiness to a room! 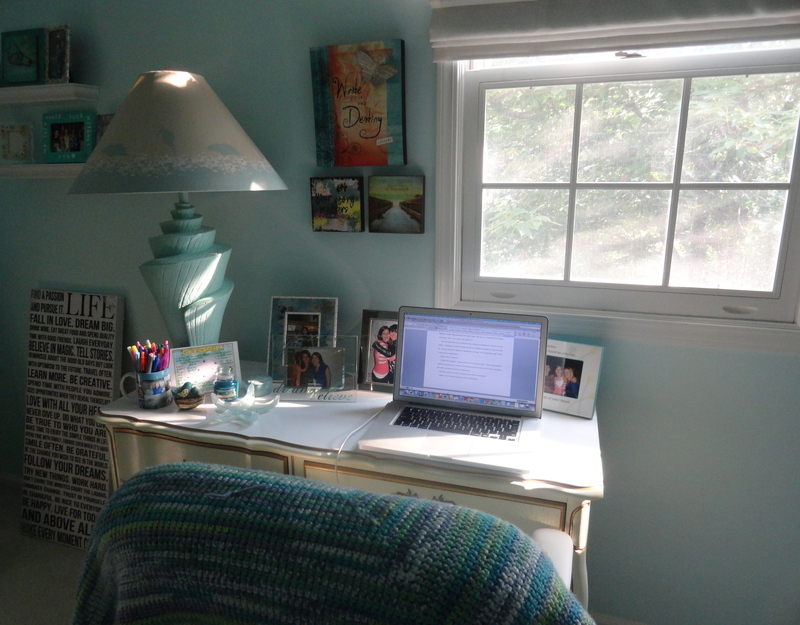 Your writing space is LOVELY. I adore the soft blues and the ocean theme. It looks so calming and relaxing. I need to start collecting framed quotes because I love them so much! Thank you! 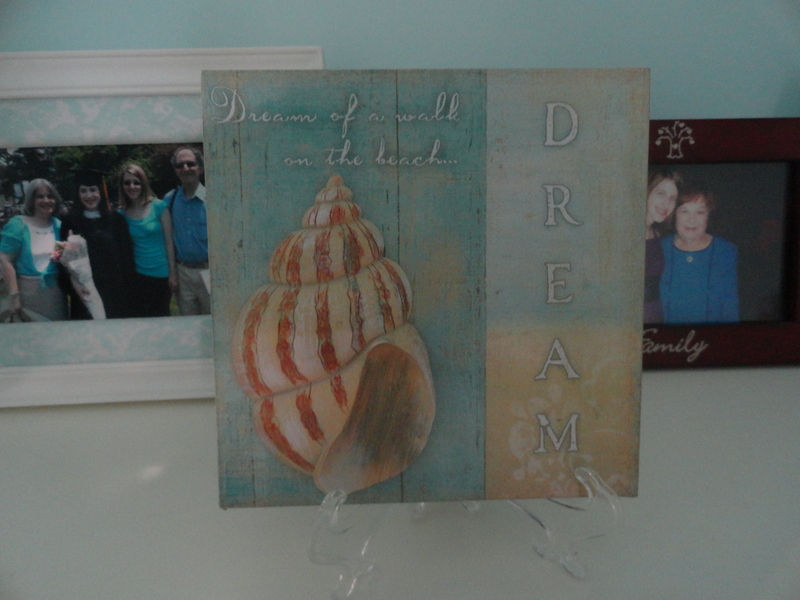 When I redid it a few years ago, I knew I wanted an ocean/beach theme. 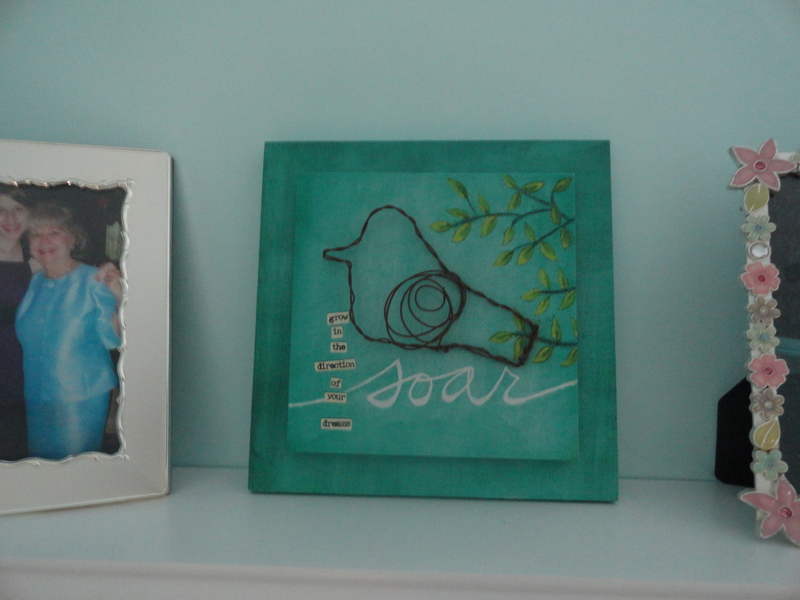 It’s my favorite place to be, so how better to decorate the space where I spend the most time? Framed quotes are such a fun thing to collect … you can’t help but smile when looking at them, you know? Lol I love that all your “pictures” feature writing. That seashell lamp is majorly cool, btw! Oh my gosh, I LOVE that lamp. 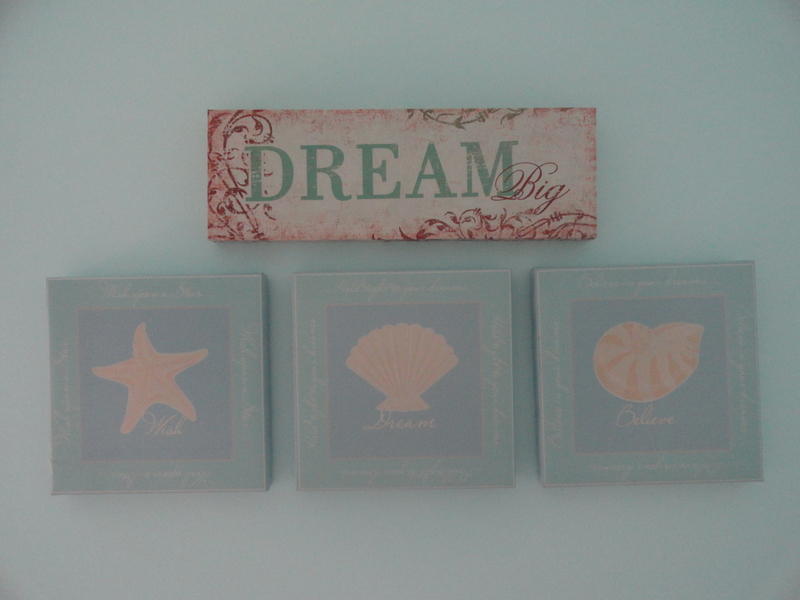 I found it in a boutique at the shore a few years ago – the summer before I redid the entire room in a beach theme – and couldn’t resist buying it. Makes me feel like I’m seaside! I love all this! 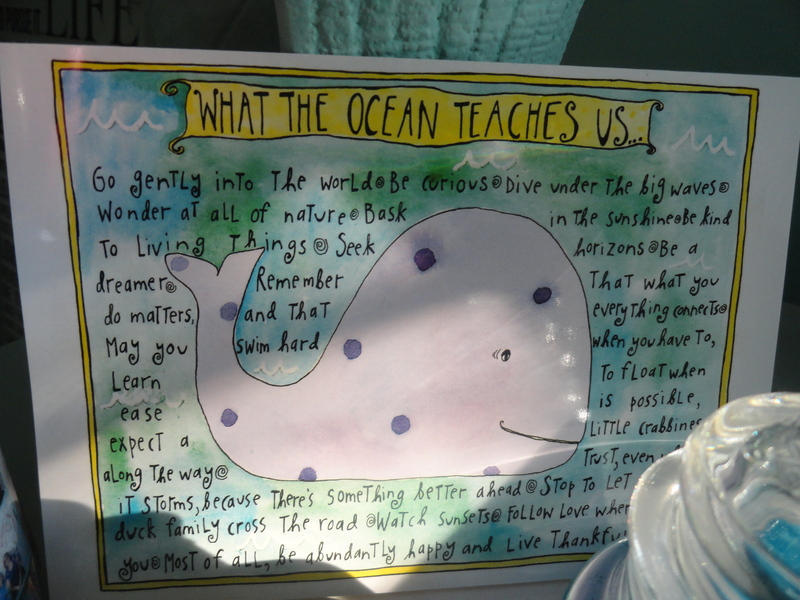 Your room has such a nice, pretty, peaceful feel to it — much like the ocean. Warm and calming and serene. Will you come decorate my house next? Pretty please?